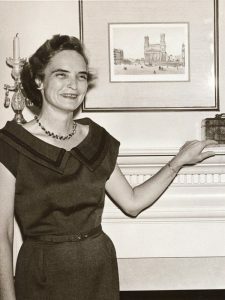 Sara Bernice Moseley stands ready to welcome visitors and friends on behalf of President John D. Moseley in 1957. For the past 60 years, the lovely brick house at 921 North Grand Avenue has been the home of Austin College presidents and their families. 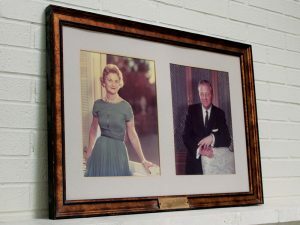 The College acquired the lot in 1957, the same year that 1933 graduates Robert L. and Mae Files Wood donated the funds to construct a new home for the College president. (Robert was a member of the College’s Board of Trustees, and a new President’s Home was a longtime goal of the Board.) 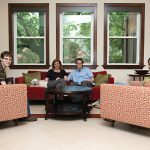 The lot directly across from campus seemed the perfect location, and the two-story home, built at a cost of approximately $78,000 and designed for entertaining, began its grand life. 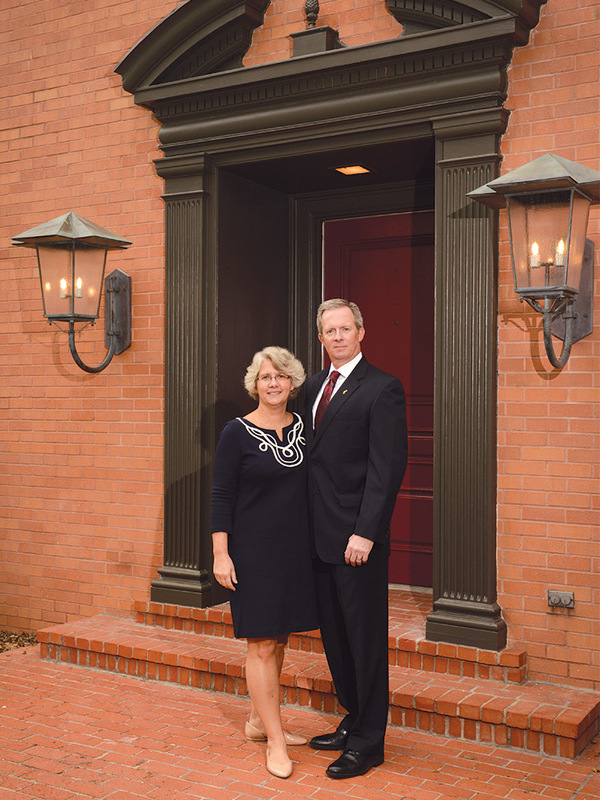 Since then, the home has played prominently in the life of Austin College. In 2017, the house reached its 60th year and received some updates in preparation of the arrival of its fifth president and family. 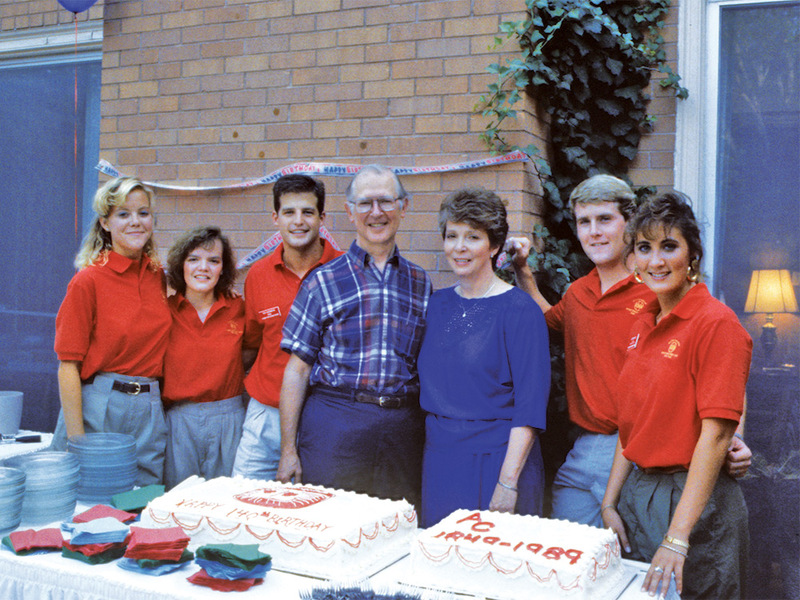 Countless students, faculty, staff, and alumni have attended dinners and receptions at the home over the past 60 years. Community members have been graciously welcomed to holiday gatherings and special events throughout the tenures of its residents. 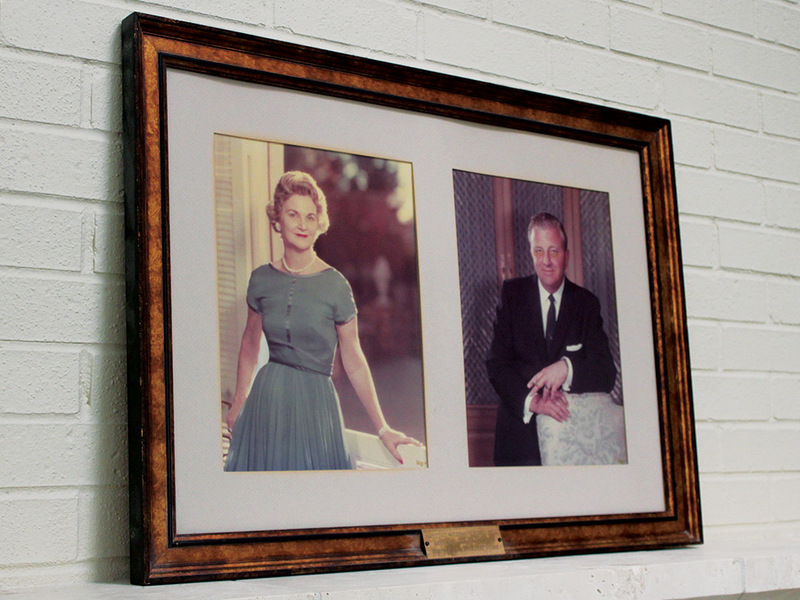 One week after moving in, President John D. Moseley and family opened their doors to the first of what would be 700 guests within three weeks. 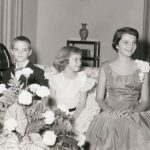 Entertaining was a family affair in those days since his wife, Sara Bernice, with only a little help, prepared refreshments for the guests herself; the children soon became able assistants. 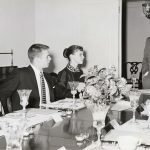 Mrs. Moseley also made the entire house open to the College community for receptions so the children were “on duty” as hosts in the upstairs rooms. The guest list has changed and grown over the 60 years but still they come—new students, new faculty and staff, new friends and neighbors. Speaking of neighbors, some famous ones have stopped by through the years. Fred Rogers, everyone’s favorite neighbor; Civil Rights leader Nikki Giovanni; and Nobel Laureate Elie Wiesel were among the guests who stayed in the house during campus visits in President Harry Smith’s tenure. 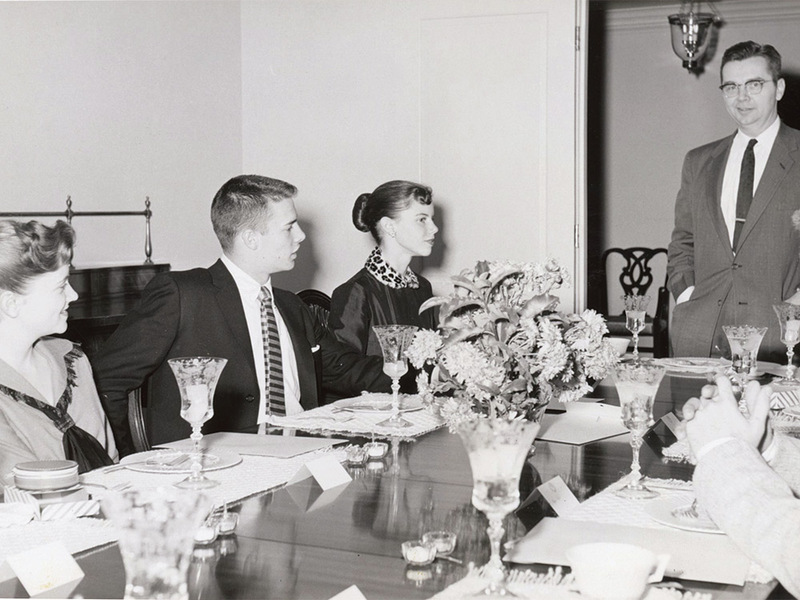 President Smith also welcomed students to the home most Sunday evenings for discussions on timely issues. One Sunday, students arrived carrying forks bearing salmon croquets to protest the quality of their campus dinner. Seniors were welcomed following Opening Convocation during President Oscar C. Page’s years — until the classes became too large to fit in the house. Henry Winkler, convocation speaker, joined students one year. 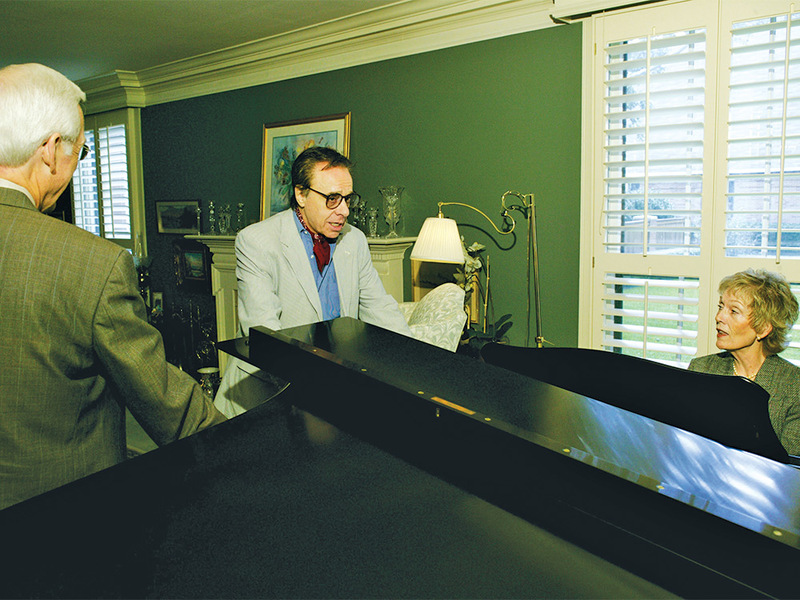 Anna Laura could sometimes be enticed to play the grand piano; actor and producer Peter Bogdanovich sang a few show tunes with her during a campus visit. 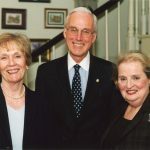 President Marjorie Hass, too, was a gracious host to many alumni and friends, plus some “magical” guests when her husband, Larry, hosted special events on campus. 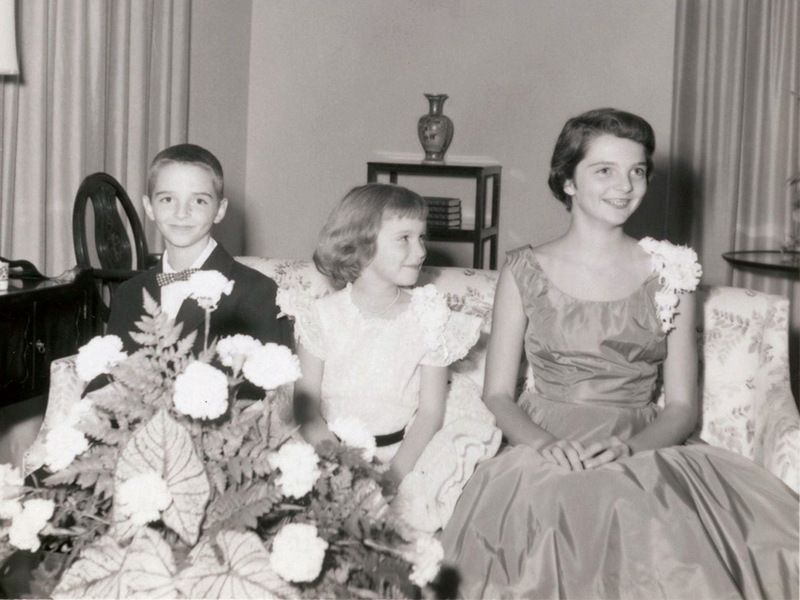 ♦ President John D. Moseley and Sara Bernice moved into the home in September 1957 and had the only young children to live in the house: Rebecca, 6; John, 10; and Sara Caroline, 13. 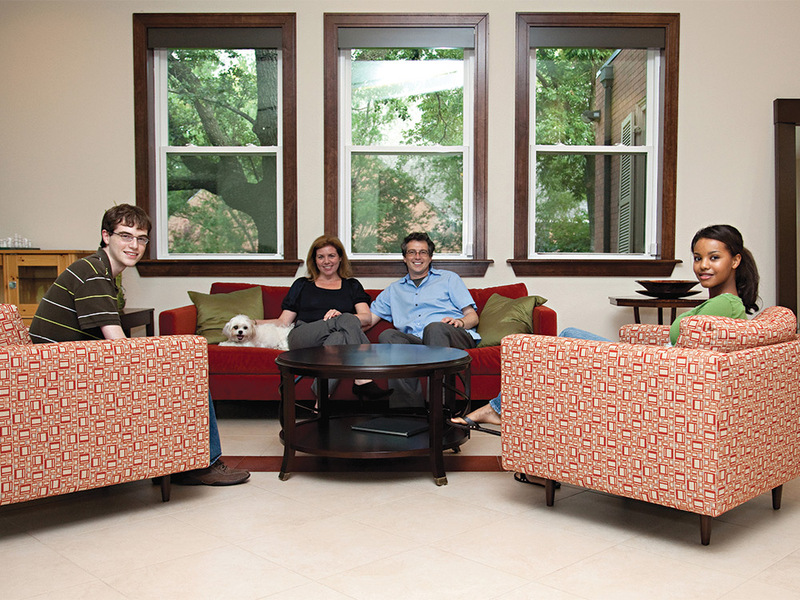 They grew up on Grand Avenue and left the President’s Home for the residence halls—all eventually graduating from Austin College. Pets: Archbishop the Cat and Parakeets Tiffin and Crispin. ♦ In September 1978, President Harry Smith and his family moved in. Older children Malcom and Leslie were already in college elsewhere; daughter, Laurie, was in high school and lived at 921 North Grand until enrolling at Austin College. 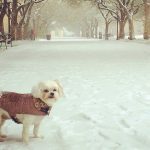 She transferred to Rice and returned to Austin College for her master’s degree. Harry and his wife, Etta, enjoyed long family visits with all their children and spouses and friends. Pets: Clyde, a Dachshund, and Simone, a Basset Hound. ♦ President Oscar C. Page and Anna Laura came to Austin College in July 1994; their children, Matt and Kristin, were already in college and graduate school so were not fulltime residents in the house. The Pages were the only residents to have grandchildren as visitors. Pets: Sebastian, a Golden Retriever, and Belle, a Sussex Spaniel. 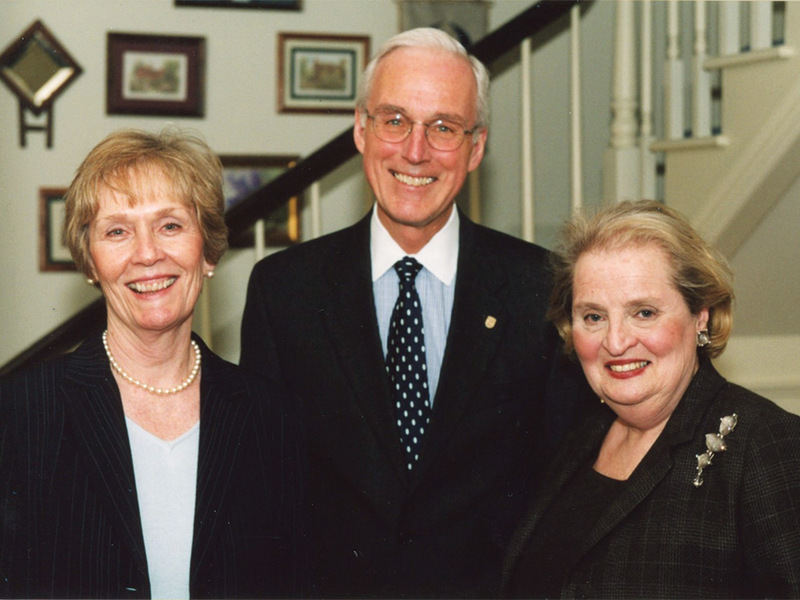 ♦ When President Marjorie Hass and Larry arrived in July 2009, their son, Cameron, was in college in Pennsylvania. Their daughter, Jessica, attended high school in Sherman, then graduated from St. Edward’s University. 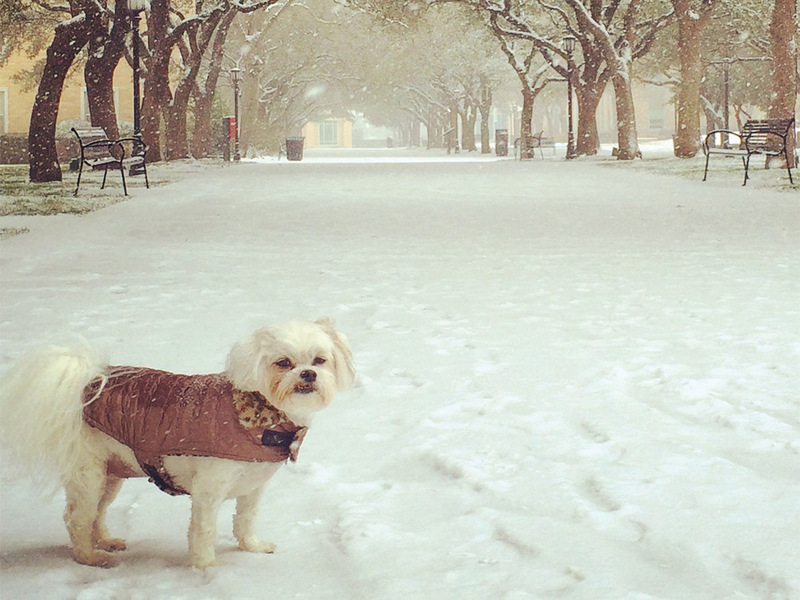 Pet: Biscuit, a Poodle and Shih Tzu mix and social media star. ♦ President Steven P. O’Day and Cece arrived in late October. Their son, Ryan, lives in Boston. The O’Days have no pets, but a puppy is planned for 2018—that news brings smiles every time. The future marches on. 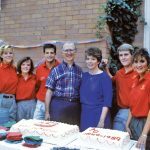 Once the O’Days arrived, the visitors came quickly—student dinners, Board of Trustees receptions, a community open house, small gatherings, and large functions. Indeed, this house has witnessed the chronicle of true leadership at Austin College—in successes and setbacks, in tragedy and triumph, in admiration and in the face of bad salmon croquets. This house holds it all. The stories they could tell …. If these walls could talk.